The use of “Cathodic Protection” systems in the concrete repair industry is becoming more common. To take full advantage of this technology the cathodic protection system employed needs to be well designed and carefully installed. In its most simple form sacrificial or galvanic anodes can be installed directly into the concrete structure alternatively the more complex impressed current systems can be ultilised. The purpose of either system is to mitigate the corrosion process of the embedded steel reinforcement. 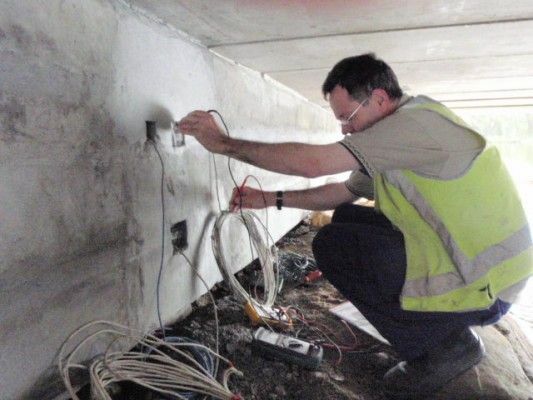 Metrocorp are experienced in the installation of all types of cathodic protection systems and our team can call upon experts from a wide range of sources to ensure we are providing the most appropriate solution for your requirements.